Maxeys was first known as Shanty, then as Salmonville. 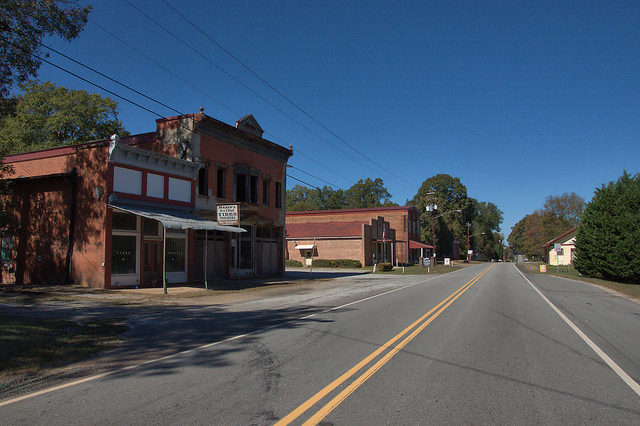 The town as named in honor of Jesse Maxey, who gave land for the Georgia Railroad right-of-way. 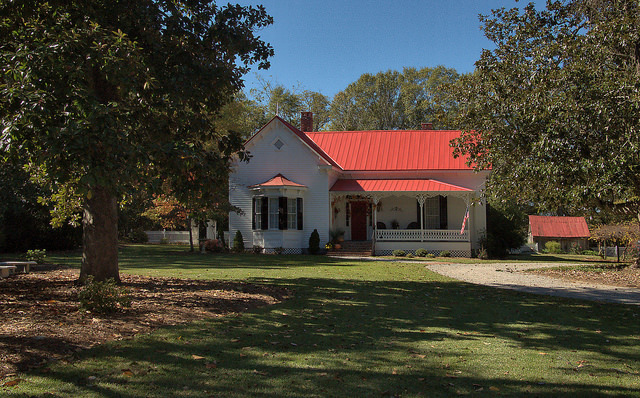 Though the advent of the railroad in 1839 helped the town thrive, Maxey thought it to be a dangerous innovation and moved his family out to the country. 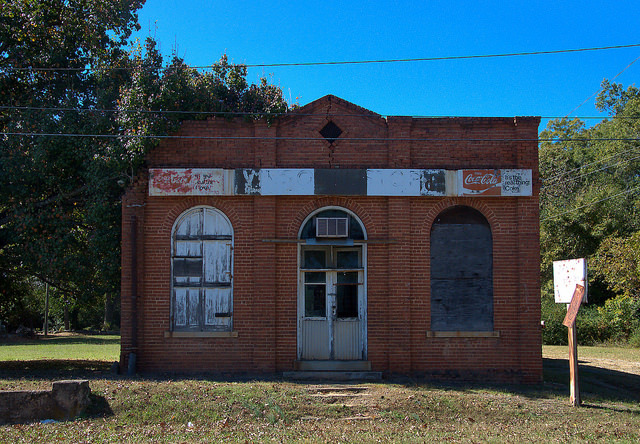 One of Georgia’s first commercial fertilizer plants was built there in 1874 by William B. Brightwell. The town was incorporated in 1907. 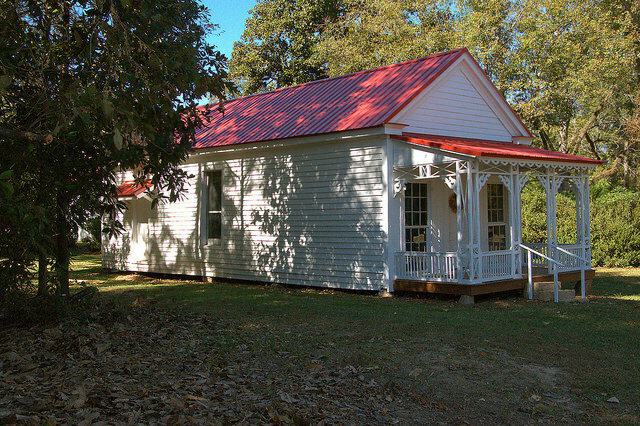 The two-story building on the left was Buchanan’s General Store. 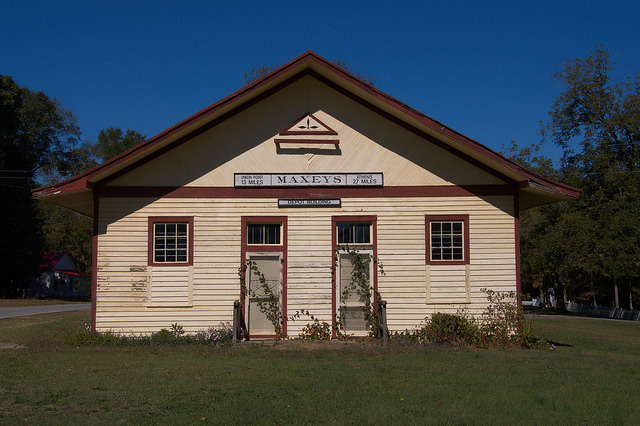 The old Georgia Railroad line that ran through Maxeys in its busier days was removed in the 1980s, but the depot remains the most tangible evidence of those times. 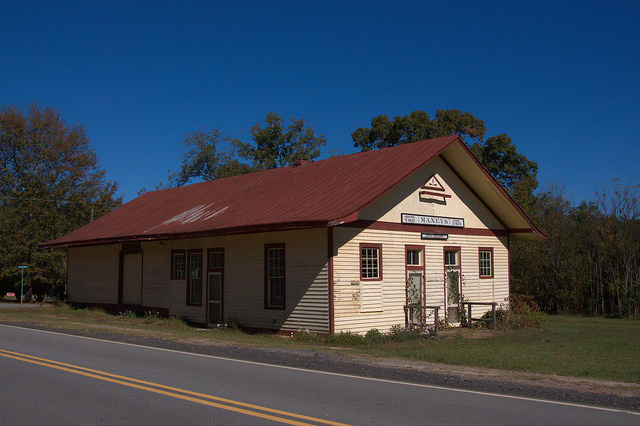 Formally abandoned by Seaboard in 1984, the depot was once an integral part of the Georgia Railroad’s 40-mile branch that ran from Union Point to Athens. I haven’t located a date for the depot. This store was owned and operated by Mrs. Mae Vinson for many years. It was likely built as a bank, but I don’t know for sure. 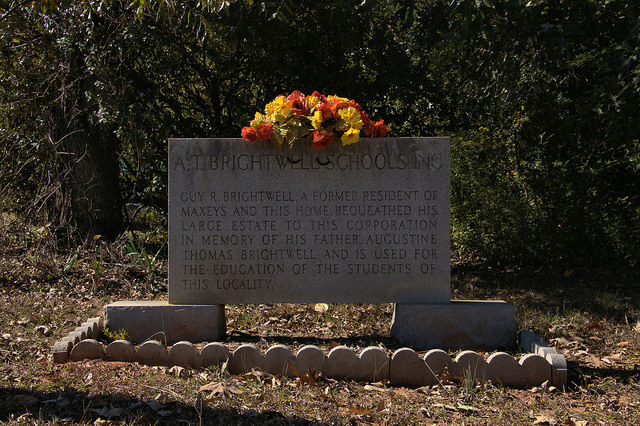 A. T. Brightwell Schools, Inc. Guy R. Brightwell, a former resident of Maxeys and this home, bequeathed his large estate to this corporation in memory of his father, Augustine Thomas Brightwell, and is used for the education of students of this locality. The Brightwell scholarships have been administered for many years. Mr. Brightwell was a great advocate of education. Generations of students have benefited with up to 80% of their tuition being paid, the only stipulation being that they live within two miles of Maxeys and maintain passing grades. This structure is presently being renovated.